This fly has been around on UK stillwaters for about ten years now. It was not mentioned in the 1992 edition of Fly Patterns by Taff Price. I first heard about it when I was working as a warden at a local trout lake. Until that time I had been tying zonkers. The principle for tying is the same except that the thin strips of mink were used instead of rabbit. The mink is a finer fur and can be tied in smaller sizes than rabbit. The early patterns were often tied with a rib running through the fur on the same basis as the New Zealand Matuka series. Now everybody seems to be happy with the mink strip tied in at the head and tail only. I was reluctant to change, but was eventually able to convince myself that provided you wet the underside of the strip well, with saliva ( spit ), and stretched it tightly to the head and secured it with enough tight turns, it would be OK. The benefits of mink are the colours available, white, silver and black/brown. The fur is very mobile and seems to shimmy with even the slowest retrieve. The colours of the the body in fritz or chenille are limited only by your imagination. If you do decide to cut your own strips ( provided your grannie has let you have her mink coat ) there is a right and a wrong way to cut the pelt. You will need either a very sharp stanley knife or a scalpel with a fresh blade. Place your pelt fur side down and mark the skin size in biro ( pen ) in strips about 4mm wide, head to tail. If you can get your Grannie to help get her to hold one end while you run the blade of the scalpel, preferably with one sweep, down the length of the pelt. Do not lie it on the bench you will damage the fur! Once you have got the first strip done the rest are much easier. As a lure I would give it top marks. I rarely use lures but at the weekend I did try one I had tied for the video and was rewarded with a 4lb. rainbow. Watching your videos is the main reason why I started fly tying because you made it look so easy. A couple of days ago at the lake where I fish a chap wasn’t having much luck with a number of different flies and so he changed to a Minkie and then caught 5 trout !! As I’m sure most tiers/anglers do, I ordered some mink strips from the Internet, tied one following your video and today caught 9 trout including a 3lb brown. What surprises me is that I have tied a Cats Whisker pattern with the same colour fritz that you use for your Minkie and not had any success with it whereas, on a sample of one day only (!! ), the Minkie seems to have worked. Thanks for your comments. Daft as it may seem I have a load of minkies and rarely use them these days…….I am getting old and prefer the more leisurely nymph fishing. Our club has tickets for Blithfield but I have never got round to going there. Just to say we had an awsome day on Blithfield with your minkie (colours modified). The way it works through the water at any speed is amazing. It is obviously ideal for early season as well. Thank you for your comments. It makes us smile and it makes the effort well worth while. Nice for someone to speak so highly of Jon behind the camera and me. Beware …… flytying can become addictive, but you are the first to be tempted to eat their own flies……….make sure you de-barb the hook first. I cannot guarantee you will enjoy the taste. I have recently started tying and as with everything fishing, I try to do things right from the beginning. Been reading and watching DVD’s etc., but this beats them all. Your instruction is wonderfully clear, the camerawork spot on and you really create confidence by simplifying things so well. Last night, I almost got tears when my third Diawl Bach came out so exquisite that I almost ate it myself. Now I am off to try my hand at the minkie. Thank you very much for enhancing my enjoyment of this wonderful activity so much. thanks for your reply re : “INVICTA” tying instructions i’ll wait in anticipation. started again, fly tying / fly fishing after 15 years – revelation ! tight lines. Thanks to Jon, then 🙂 Keep up the good work too ! There will be more lessons on the way. There are already some to be edited and posted. All this fun is for free. My son Jon is the technical bod I just tie the flies. 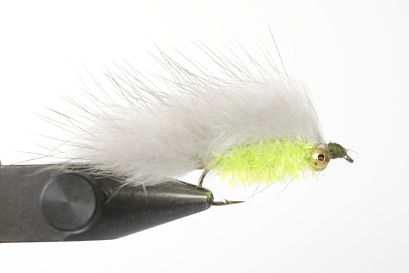 A friend put me onto your website as I was just embarking upon ‘fly tying’. I just want to say thankyou, your website has been not only educational, but fun. Are you planning on adding more lessons? Or maybe you do lessons for a fee? Heaven alone knows what we will be coming up with in the future. My first love with the rod is river fishing. Just keep watching this space. It would be great if you did a river/stream specific set in the future. Happy Angling! Happy to be of service to you. Thank you Mr. Cummiss (Mr. D. and J). Great thing!! At least I could see how to really Fly Tying. Looking forward for another 100 lessons. I’ve started Fly Tying by myself thanks to You. Because of my sons work commitments we have to work with several video clips in hand. We never anticipated so many requests. We will work our way thro them in the coming weeks. daer david in lesson No 10 can you please tie an INVICTA fly, i hear it’s a great fly for kielder water in northumberland. I give your videos a top-notch rating!!! So much so that I’ve tagged every one of them on my own website so that others visiting my site will move on to yours!!! Keep up the videos for they are keeping me busy!!! Welcome aboard. Good to know we have been able to help. We hope to be posting a lot more. I only just found this site and just wanted to say thanks very much for taking the time and effort to create these excellent fly tying videos. They have been a great help to myself and many other beginners I’m sure.